Overlooked remodeling projects get some much-deserved attention. They are the superstars of home improvement—the flashy granite counters, lavish floor coverings and elegant custom cabinetry—the ones that typically earn top billing on the remodeling charts. But what about homeowners without a razzle-dazzle budget who still want to add pizzazz and character to their home? Fortunately, there are still plenty of home improvement opportunities waiting to be discovered that can lend both substance and style. 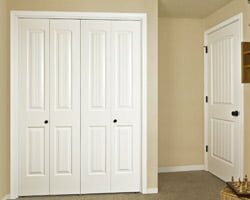 Doors are a prominent feature in nearly every room of a home, and many rooms contain more than just one. 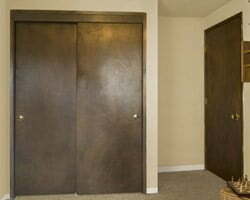 Entry, passageway and closet doors take up a large amount of space. The National Association of Home Builders estimates that there is an average of 19 doors in today’s home; and yet, interior doors are often overlooked as an opportunity to make a major difference in a home’s overall look and feel. Many JELD-WEN® interior doors are available for $100–$200, and the styles and options are nearly endless. With Santa Fe southwest styles, American traditional flat panel looks, cottage motifs with intricate detailing or Craftsman classics, choosing the right interior door style can immediately accentuate great architectural design. Another interior feature of the home that is nearly universal is trim work. Windows, doors, floorboards, ceilings and trim can make the difference between homes that look finished, well-cared for, and contain lots of character; and those that don’t. Like JELD-WEN’s interior doors; endless trim styles, finishes, and patterns are available. And trim is typically inexpensive and fairly easy to install with the right tools and know-how. In kitchens and baths, hardware receives top billing—as it typically is used as a jewel to accent great cabinetry—yet that same sensibility isn’t always carried out in the rest of the home. JELD-WEN experts suggest making sure hardware is coordinated throughout—in a finish and style that will match the home’s architectural character. Hardware immediately updates a home, and the reverse is also true. Chipped, discolored or outdated styles date a home and can seem like relics from another time. And don’t just consider handles and knobs—hinges, doorstops, locks, and other hardware accents should match and represent the same style. Most interior design experts agree that the right lighting can change a home’s overall look, feel and mood. Adding a few inexpensive overhead lights and lamps to help brighten dim rooms increases their use and value. Consider selecting new interior doors with glass panels to allow light to filter from room to room. When remodeling, consider adding larger windows, French doors, or skylights to further open up and expand a space.